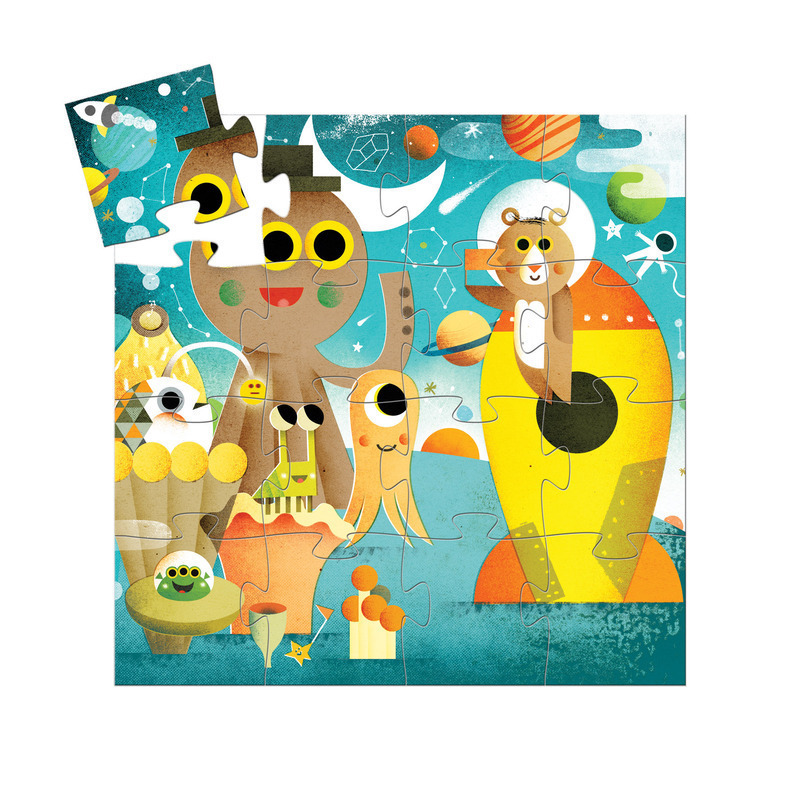 Blast off with this galatic 16 piece puzzle. 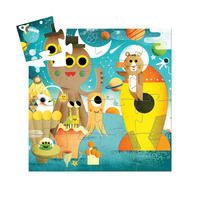 Features adorable animals in spacesuits. 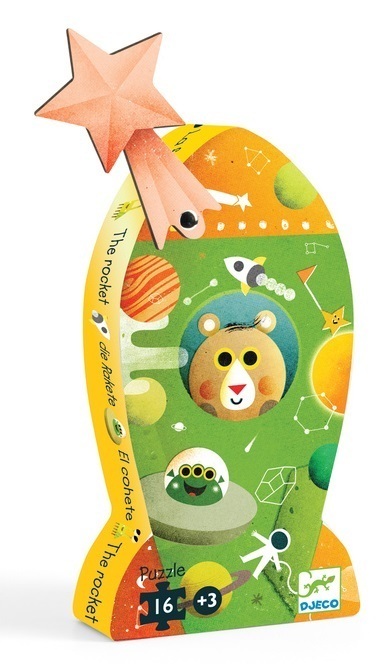 Comes in a rocketship silhouette box.